The San Antonio River Walk is known for its nightlife, great restaurants and bars but many don’t realize that it has a lot to offer kids, as well. Although many visit San Antonio to for Fiesta Texas or Sea World, you don’t have to venture out of the downtown area to have fun. My three children had a memorable trip with great food and plenty of sights almost all within walking distance of our hotel. The Hotel Valencia River Walk won the Condé Nast Traveler Readers’ Choice Award, #2 in Texas, #1 in San Antonio in 2015 and for good reason. The Hotel is centrally located and has large, well-appointed rooms or suites. The Valencia also has a great restaurant with a patio that overlooks the River Walk with plenty of kid-friendly options on the menu. Their valet service is invaluable as street parking in the River Walk area is hard to find – they were also very helpful with directions to the different area attractions. The Hotel’s large water feature and bedtime milk and cookie service are sure to be kid favorites. A short walk from the hotel you can catch a ride on a Rio San Antonio Cruise Boat or River Taxi. 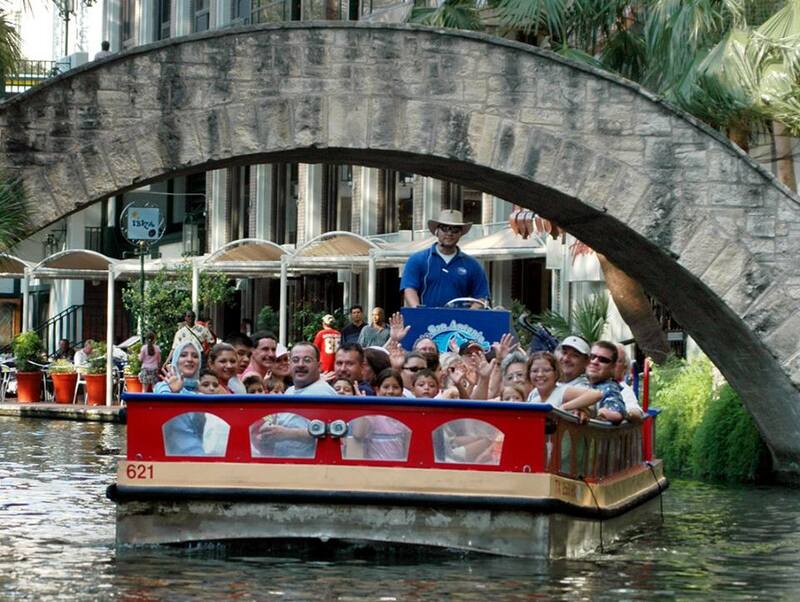 These river boats will take you on a general tour of the San Antonio River with a guide that is both funny and informative – they have information about everything from pop-culture to Texas history. You can also catch a River Taxi which will stop at 39 different attractions both downtown and in the museum area. Prices for both types of boat rides range from $5.00 to $25.00. The tours are very kid friendly and even if your children don’t listen to the guide, they will still enjoy being on the water and seeing the sights along the river. If you are interested in Texas history, don’t forget to visit The Alamo located just three blocks from the Hotel. There is no admission to the 4.2 acre complex which has several interesting displays and guided tours are available throughout the day. When you are done with your history lesson you might want to make a visit to Ripley’s Believe it or Not Odditorium which is located just down the street from the Alamo and houses a collection of bizarre and unusual exhibits sure to enchant a younger audience. Plan to spend a few hours at The DoSeum which is a must when you visit San Antonio with children. The museum is an interactive hands-on learning center with both indoor and outdoor exhibits. There is a Spy Academy where children uses mathematical skills and logic to solve various problems, Sensation Studio where kids have the opportunity to play with light and mirrors and the Big Outdoors is a nearly 40,000 square feet of space for outdoor play and exploration. That is just a very small example of what is available for kids to enjoy at the wonderful children’s museum.